WASHINGTON Responding to an outcry from a sprawling network of group homes in North Carolina, Sen. Richard Burr (R) led a surprise rebellion this week against a sweeping reform of the child welfare system that had already passed the House of Representatives by a unanimous voice vote. For at least a decade, Burr’s fellow Republican, Sen. Orrin Hatch of Utah, has been working toward reforming foster care. The current federal funding system creates all the wrong incentives, child welfare advocates have long argued. It reimburses states only after kids are removed from neglectful homes instead of offering help to keep families together. The bill would have moved money away from group homes that warehouse children and directed funds toward preventing kids from being removed from their homes, by investing in the likes of drug treatment for a parent or family therapy. Among the other reforms of the bill, called the Families First Prevention Services Act of 2016, funding for group homes would be severely limited. And that’s where the Senate ran into problems. Through its blog, Baptist Children’s Homes of North Carolina encouraged its flock to call Rep. Virginia Foxx (R-N.C.), who sits on the House Rules Committee that was taking one final look at the legislation ahead of their meeting on Tuesday. “Please pray for their meeting. Please pray that God will guide their decisions,” BCH implored. The residential care network had a particular bit of guidance it hoped God would impart to Congress. “Drop the restrictions for placing children in residential care,” it said. BCH offers its “Christian services” in all 100 counties, and operates at least 20 facilities, many of which are group homes for neglected children. To get a sense of how lucrative the funding stream at risk is, consider a contract it had in one county. BCH is receiving $4,516 per month for each teenager it houses in this county. For ages 6 to 12, the cost to the state is listed as $4,437 per child. For children 5 and younger, Baptist is taking in $4,279 a month. Earlier that day, Burr had also snapped into action, demanding, that the measure be stripped from the Cures Act, and suggesting he had other senators joining in his rebellion. “Since this legislation was released, we have heard from foster care advocates within our states who believe the changes within this section could substantially disrupt the provision of care for vulnerable foster youth, and in many cases lead to the closure of foster care homes across our states,” Burr wrote in a hastily prepared letter, a draft of which was emailed to staff for Senate Majority Leader Mitch McConnell (R-Ky.), Cures Act sponsor Sen. Lamar Alexander (R-Tenn.) and Hatch midday on Tuesday. The email cited the opposition of four other Republican senators, including fellow North Carolina Sen. Thom Tillis. The letter was never sent in final form and at least one senator cited, Tillis, said he never signed it. Still, the note had its effect, and was reported earlier this week by the congressional news outlet CQ. Republicans gathered for a private lunch shortly after it was sent. Here was a roomful of Republicans, staring at the opportunity to cut federal funds from a wasteful entitlement program that only served to pad the coffers of an entrenched industry that offered demonstrably poorer outcomes for a higher cost. Burr argued that the foster care provision should be struck, noting it didn’t move through regular order and that he was concerned about the measure limiting federal funding for group homes, according to a source briefed on the lunch. The bill itself would still allow up to 5 percent of the foster care population in a state to get federal funding in a group home setting, and allows for other exceptions. But these institutions would be subjected to rigorous standards, and Baptist Children’s has pushed back in particular against the requirement to hire high-quality staff in order to get certified. Child welfare advocates say the Families First Prevention Services Act of 2016 is the most consequential set of federal reforms they’d seen in years one that would have re-engineered child welfare systems across the country toward preventing the breakup of families, and not simply funding the entities that make money off warehousing neglected children. Burr made his case at an opportune moment. On Monday night, Sen. Elizabeth Warren (D-Mass.) threw down the gauntlet on the Senate floor against the Cures Act, ripping it as a corrupt giveaway to Big Pharma. Alexander, worried that he’d lose significant Democratic support and fall below the 60 needed to overcome a filibuster, quickly caved to Burr’s demand the measure be stripped, and asked House Speaker Paul Ryan (R-Wisc.) to drop it from the House version. This was a bill thats really a landmark bill. We know the state is many times a bad parent, and that kids going into foster care face really poor outcomes. Sandy Santana, executive director for Childrens Rights. The group home networks, in blocking reform, are making one of the most cynical arguments that can be conjured up, suggesting that the purpose of the child welfare funding system is to prop up group homes. If the system could be improved and reformed, then of course, over time, the nation would need fewer group homes. If we can cure cancer, we would need fewer oncologists, too, but that’s no reason not to try. 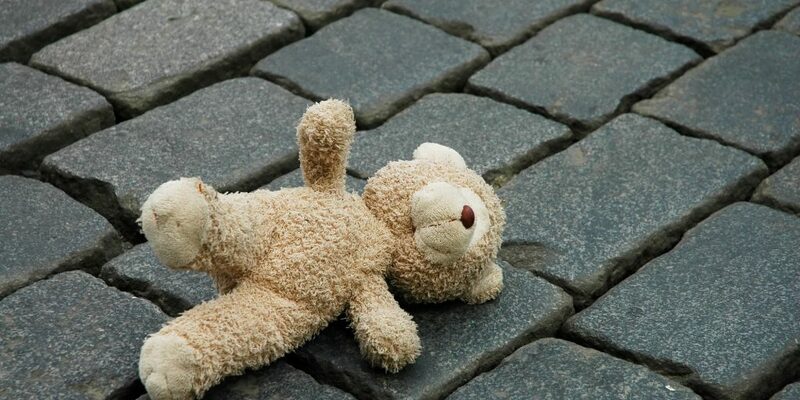 In 2014, more than 650,000 children in the U.S. experienced at least some time in foster care, with the average stay being roughly two years, according to Children’s Rights, a New York-based watchdog organization that monitors child welfare systems across the country. More than half of the kids in the system are minorities. Joy Hogge, executive director of Families as Allies based in Jackson, Mississippi, supported the bill because she has seen what happens to children once they are in the system. “Children can get lost in the foster care system and transferred from group home to group home without anyone knowing for sure how they are doing,” she said. Parents who are cited for neglect most likely haven’t brutalized their children, but they may be dealing with an untreated mental health need or are struggling to simply put food on the table. The opioid epidemic has caused an increase in child welfare cases. Providing drug treatment or in-home services is cheaper and less traumatic than removing the child from the home.The Annie E. Casey Foundation has found that group homes cost seven to 10 or more times as much as individual placements. And the more punitive versions are among the least effective options that a child welfare system can utilize. Some cities like Milwaukee have sought to move away from such institutional care and have been successful. The Wraparound model (which started in the mid 1990s) in the Wisconsin city is widely viewed as the standard of care for at-risk children. Even foster care has been shown to be not as effective as simply leaving the child in the neglected home. A 2005 Harvard Medical School study found that foster children had nearly double the rates of Post-Traumatic Stress Disorder as military veterans coming back from war. Sixty-five percent of the children in the study had changed schools at least seven times. More than 22,000 foster kids aged out of the system without finding a permanent family and are then at greater risk of becoming homeless, according to 2014 data. 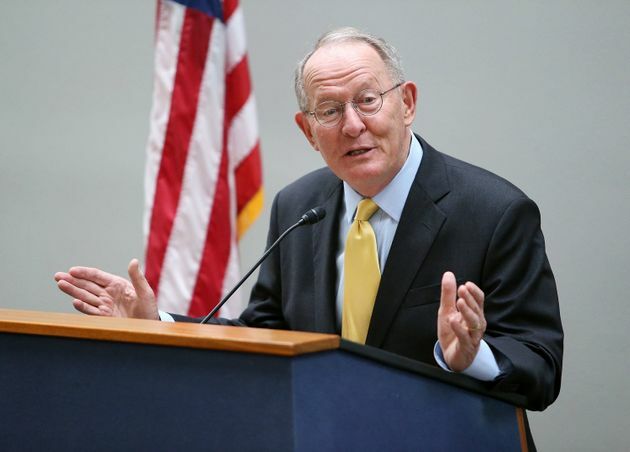 Sen. Lamar Alexander (R-Tenn.) says the measure doesn’t belong in the bill. Over the summer, the bill, with both the support of Speaker Ryan and Minority Leader Nancy Pelosi (D-Calif.), passed the House unanimously. It came to the Senate, where its backers proposed moving it through by unanimous consent. Only three senators objected Barbara Boxer (D-Calif.) Senate Majority Whip John Cornyn (R-Texas) and Mike Enzi (R-Wyo.) The objections blocked it from becoming law in July. Along with the various letters of complaints sent to Congress, there were the prayers this week from the Baptists in North Carolina. Burr appealed to Alexander by arguing that the piece should be stripped because it never went through the Finance Committee, according to Senate sources. Burr may be technically correct in telling Alexander that the proposed law never went through committee, but there is a certain richness in the Tennessee senator, the chairman of a rival Senate committee, proclaiming to stand up for the honor of the Finance Committee which is chaired by Hatch, the lead sponsor of the bill. Not for nothing, the bill’s lead co-sponsor is the highest ranking Democrat on the panel, Sen. Ron Wyden (D-Ore.). The pair didn’t make an end-run around their own panel for lack of support. Indeed, it has the backing of nearly every Democrat on the committee, as well as Republican cosponsor Charles Grassley (Iowa) and, according to a spokesman, Sen. Rob Portman (R-Ohio). There were two hearings on the bill, though it never came up for an official vote. According to briefing materials put together by Children’s Defense, a mark-up in committee was scheduled for Dec. 2, 2015. This is because committees often shy away from controversial votes in an election year such as ones on entitlement programs that involve poor children. Asked if the panel elided a vote out of deference to vulnerable Republicans who were facing reelection in 2016, a GOP committee aide retreated to a general but telling statement. “Committee schedules can often be stifled by competing priorities and the congressional calendar, among other issues,” the aide said. Regardless, the Senate is not a place where regular order has been practiced in years. That applies in general, but also to the Cures Act specifically. The bill had no problem using the cuts the foster care reform had identified in order to pay for the legislation, even while leaving the rest of it behind. Sec. 5002. Medicaid Reimbursement to States for Durable Medical Equipment. Sec. 5005. Increasing Oversight of Termination of Medicaid Providers. Sec. 5006. Requiring Publication of Fee-for-Service Provider Directory. Sec. 15001. Development of Medicare study for HCPCS versions of MS-DRG codes for similar hospital services. Sec.15002. Establishing beneficiary equity in the Medicare hospital readmissions program. Sec. 15004. Regulatory relief for LTCHs. Sec. 15005. Savings from IPPS MACRA pay-for through not applying documentation and coding adjustments. Sec 15007. Application of rules on the calculation of hospital length of stay to all LTCHs. Sec. 15008. Change in Medicare classification for certain hospitals. Sec. 15009. Temporary extension to the application of the Medicare LTCH site neutral provisions for certain spinal cord specialty hospitals. Sec. 15010. Temporary extension to the application of the Medicare LTCH site neutral provision for certain discharges with severe wounds. Hatch is still hopeful that the Senate can “chart a new course forward for the critical provisions that were abruptly removed,” a spokesman said. Fellow North Carolina Sen. Tillis said that while he didn’t join Burr’s draft letter, he shared some of his concerns, though he hopes it’s worked out quickly. “The issue we had with the provision was it was more or less a blanket provision without any safety valve for states that might be doing it right, that if we had to adhere to the letter of the provision we could have actually put youth at risk of having a safe place to be,” he said, referring to the potential closure of group homes who’d lose a revenue source. Asked if this is simply an incumbent industry protecting its own welfare, Tillis said, “If that’s what it proves to be, then that’s not what I’m for.” He expects Burr and the bill’s backers can come to an agreement and move forward quickly, Tillis added. Max D’Onofrio, a spokesman for Enzi, said that the Wyoming senator “heard from Wyomingites who were concerned about the bill but also from folks in other states. Senator Enzi hopes that a solution can be worked out on the bill.” Sen. John Barrasso, another Republican from Wyoming, told HuffPost he shared Enzi’s concerns and those of folks back home. But if Burr sticks to his demand for a hearing, that can’t happen. There are only a few days in the legislative session left, and a hearing needs to be noticed a week in advance. The outcome of the debate is important for the hundreds of thousands of children in the foster care system, and if it can’t get finished in the next week, it’s difficult to see how it gets done next year. That would condemn countless children to bounce from one group home to another, while taxpayers pick up the exorbitant tab. But the resolution of this scuffle would also be an indication of whether Congress can actually work in a bipartisan, bicameral fashion, or whether lone members can wield veto power that brings the process to a halt. The group home networks are big, but they’re not that big. A Congress that crumbles like cornbread before the might of the Baptist Children’s Homes of North Carolina shouldn’t pretend it can take on corporate tax reform. The Baptist Children’s Homes of North Carolina didn’t respond to requests for comment. HuffPost readers: If you think Congress should seize the opportunity and pass foster care reform now, by attaching it to the upcoming continuing resolution that will fund the government, sign the petition below. If you think we should go forward with the system we have, sign the second one down. We’ll deliver both to them next week. Or sign a petition calling for the status quo to stay in place, or more hearings to be held first.